Going gluten-free? You’re not the only one. Celebrities including Gwyneth Paltrow and Miley Cyrus are aglow about the benefits of a gluten-free diet, and millions of Canadians are eating it up. But researchers say there isn’t much science to support it. The perception that gluten is unhealthy is pervasive, causing the market for gluten-free products to balloon to almost $500 million a year in Canada, and more than $4 billion in the U.S. annually. And it’s a fast growing trend: the market has grown an estimated 26 per cent a year since 2008. “Gluten has become a proxy for evil,” health researcher Timothy Caulfield told Marketplace co-host Tom Harrington. Caulfield is the Canada Research Chair in Health Law and Policy and a professor at the University of Alberta. “If you have gluten-free label on a food product, you know, it’s viewed as being healthier regardless of what the food product actually is,” says Caulfield. But a CBC Marketplace investigation reveals that many products with gluten-free labels break Health Canada rules, and add to consumer confusion about the issue. Gluten is a protein found in wheat, barley and rye that gives bread elasticity. About 35,000 Canadians have celiac disease, an autoimmune disorder triggered by the protein. Yet many more — between four and seven million Canadians — are “gluten avoiders,” choosing gluten-free products because they believe that it’s a healthier choice. Celiac disease is a serious illness, and people who have been diagnosed need to avoid gluten in their diets. But gluten-sensitivity and gluten-intolerance are not medical diagnoses, and have no agreed medical definition or diagnostic test. Gluten avoiders believe the protein is linked to a variety of ailments including bloating, weight gain, and fatigue, and even more serious health issues such as ADHD and autism. Caulfield says the evidence does not support the idea that a gluten-free diet is healthier for most people. Marketplace discovered that gluten-free products often have more fat, calories and carbohydrates, and less fibre, vitamins and minerals than regular products. They can also be more expensive. Gluten-free: What's in a label? 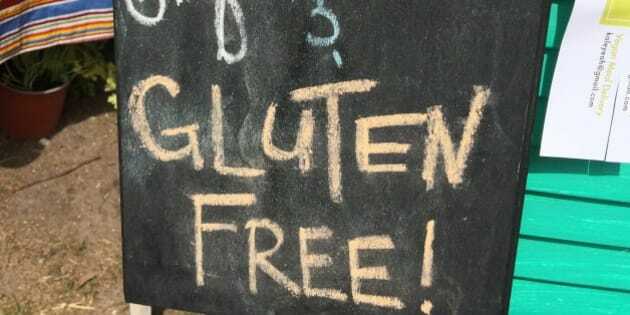 Canada is one of the only countries in the world with rules around use of the term “gluten-free.” The rules are “intended to protect the health and safety of individuals who require foods for special dietary use,” Health Canada told Marketplace in a statement. Manufacturers defended the labels, telling Marketplace that consumers often contacted them to find out if the products contained gluten or might have been cross-contaminated during processing.